I stopped in at Takapuna on the way home from work today for a stroll, Ricoh in hand. It was a beautiful clear blue evening, with the moon already up. 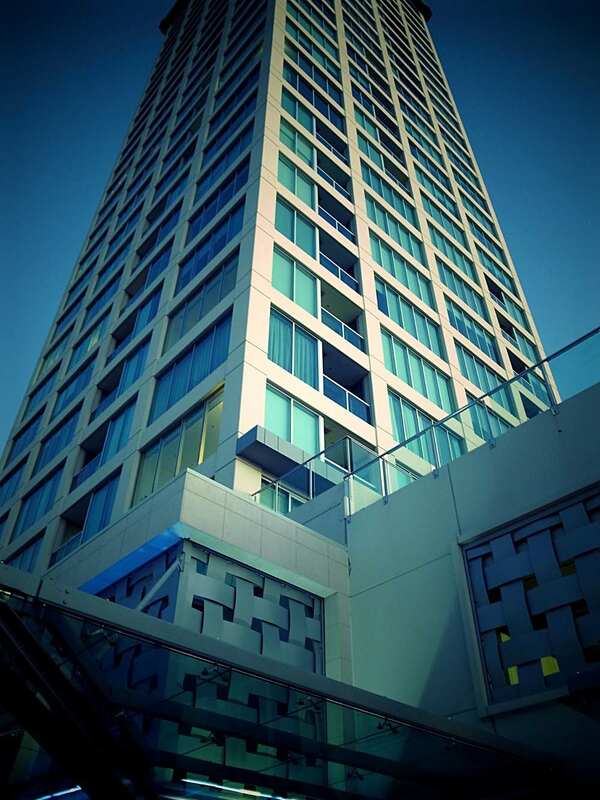 The Sentinel, a 30 story apartment building in central Takapuna uses blue tint windows, and I liked the overall blue hue I got in this image. Being the biggest building in the Area, you can also capture it in the sky unhindered by other buildings. Off for a short 3 day holiday tomorrow, so hopefully I will have some images from a different general location.